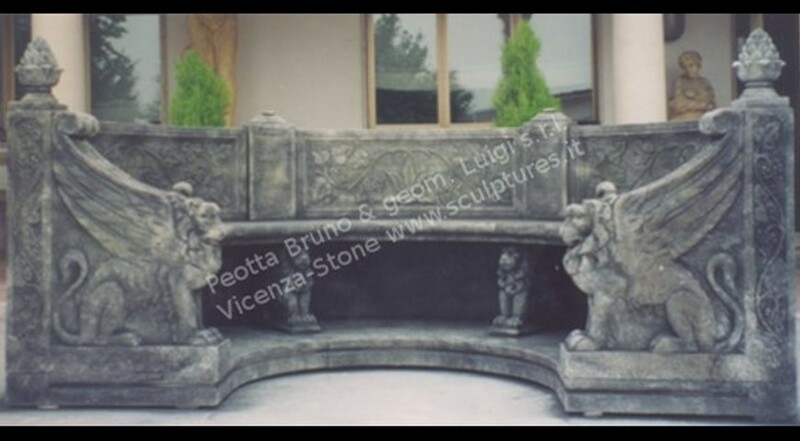 370 - Carved Stone Bench with Griffins. A 3 sectors Curved bench with griffins. Each panel has grapes and leaves decorations with a classic italian style. The back decorations are reproduced on griffins. The little supports are decorated with lions motifs. In each side a pinecone finial surmount the griffins. Italian Palladio style curved bench.